Just in time for the holidays…maybe you should be a bit more cautious about standing under the mistletoe? 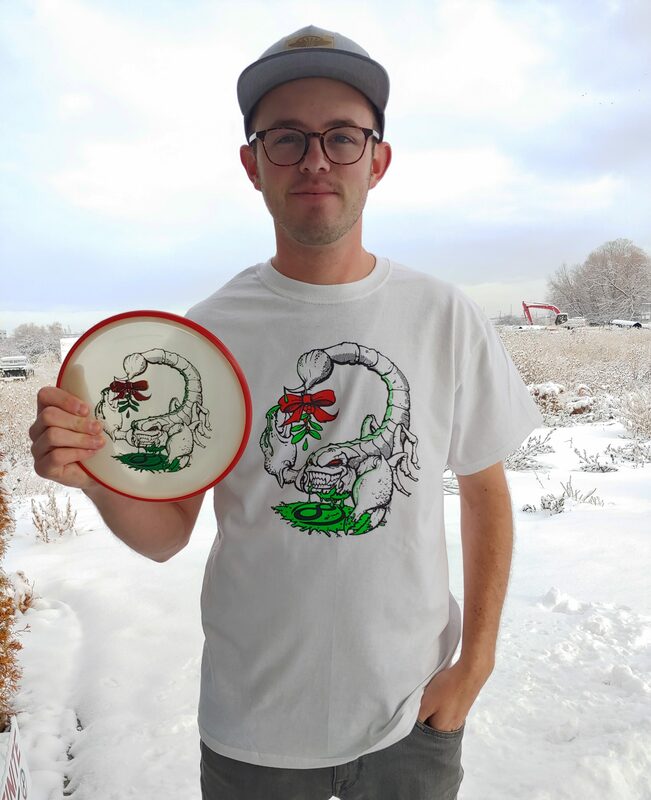 Order any Mistletoe Scorpion stamp on MVP, Axiom, and Streamline Discs and before clicking “checkout” be sure to click to add MYSTERY SWAG to your order and we’ll make sure you get a t-shirt with the stamp design (while supplies last). This cool stamp design is by Marm O. 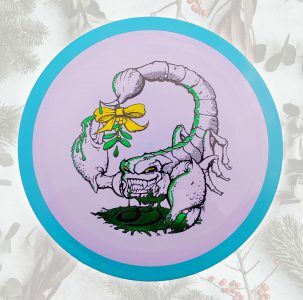 Set and we hope that it helps to bring some extra holiday cheer to your disc golf bag. Awesome stamp, shoulda put it on the discraft sting!